This event has now completed. The date of the next GCVI Summit is January 29-30, 2020. Over the past three years, the Global Corporate Venturing & Innovation (GCVI) Summit has grown to include over 650 business leaders from the corporate venturing and innovation professionals ecosystem. Corporates attending have represented groups that are both experts and young learners of CV&I, leading to the GCVI Summit being distinguished as the must-attend event for relationship cultivation and knowledge transfer for all active members of the community. In this, the fourth iteration of the GCVI Summit, you'll be part of the debate that focuses on how today’s multinationals will ride the innovation wave of disruption. 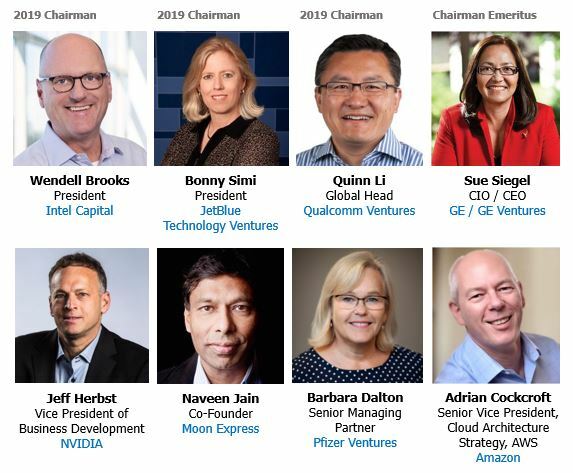 Set against the backdrop of organizational shift as exhibited by CV&I leaders such as GE and Intel, the 2019 GCVI Summit will provide insight on timely approaches to navigate both operational and technological industry disruption. The GCVI Summit provides CVCs, corporate strategy executives, C-level innovation officers and corporate development executives with ways to maximize innovation strategy business practices and drive strategic investment opportunities. This year’s event theme of “Riding The Innovation Wave Of Disruption” will address corporate strategy design and investment approaches set against the backdrop of innovation disruption and corporate organizational shift. This year’s theme also allows for the rising tide of multinationals ramping up CV&I efforts to spotlight B2B efforts to support their innovation growth strategy. Through attending, you will access the world’s most active CVC executives and innovation officers through networking events, ‘unpanels’, and program sessions. 2018’s sell-out event of 650+ registrants saw corporate venture capitalists, C-level innovation officers, technology officers, information officers and strategy officers, senior level corporate development executives, corporate M&A professionals, corporate new business development executives, venture capitalists, private equity investors, institutional investors, investment bankers, analysts, technology transfer experts, licensing executives, corporate counsel, CTOs, CIOs, CEOs and CFOs of emerging growth companies.